My life has always been full of art; any art and all art. For me there is no right or wrong – just a response to emotions, environment and the time I live in. At the moment my heart sits in the Welsh landscape, so this is what I choose to interpret. 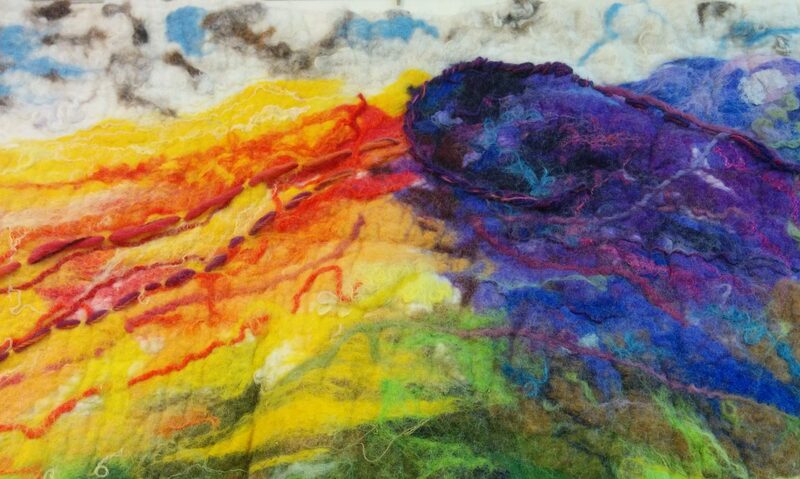 My hands love the textures of wool and fibre, thread and yarn, so these are what I choose to work with. Trees are a recurring theme for me, as I find myself constantly needing to depict their unique characters and changing faces throughout the seasons. Colour is also a delight to me, subtle or vibrant. My collection of materials is ever-expanding and ever-exciting, so last year I had a studio built at the end of the garden to house my eclectic mix of old and new. It is my favourite place to be.